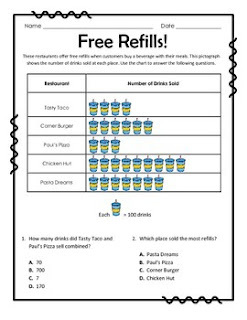 Reading Pictographs: Free Refills! by The Teacher Treasury is licensed under a Creative Commons Attribution-NonCommercial-NoDerivatives 4.0 International License. Based on a work at http://www.theteachertreasury.com/free-downloads/reading-pictographs-free-refills.